The first step in any marketing campaign is figuring out who are the right people to talk to. Take a shortcut by buying this Persian Gulf mailing list and start making sales to people in Saudi Arabia, Iraq, Bahrain, and beyond. Any business that wants to shine on the international stage would do well not to overlook the Persian Gulf region. There are a wealth of business opportunities to be had here, if you just know where to look. 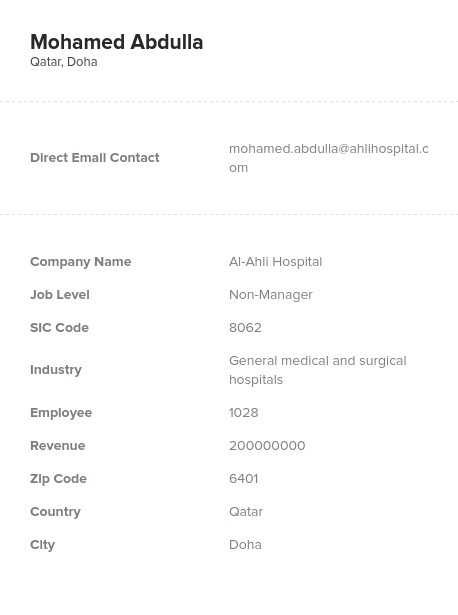 And that's where we come in: With this Persian Gulf email database, you'll have complete, accurate, up-to-date contact information for solid B2B sales leads in Saudi Arabia, Oman, Iraq, Qatar, Kuwait, Bahrain, and the United Arab Emirates. Since this business database contains real names, company data, and a plethora of human-verified contact details, you can quickly reach out and form direct business relationships all over this part of the world by phone, email, postal mail, or even fax. This pre-built Persian Gulf email list is a comprehensive, affordable resource, but if you'd rather start a bit smaller, you can do that with our list-builder tool. Just select the industry, company size, job titles, or other aspects that define the focus of your marketing efforts and you can easily download a targeted email list of only the accurate contacts that you need. No matter whether you create a custom email marketing list or buy this pre-made list, you'll have information you can use to speak directly to key sales leads, not just generic addresses that will land your pitch in the circular file.